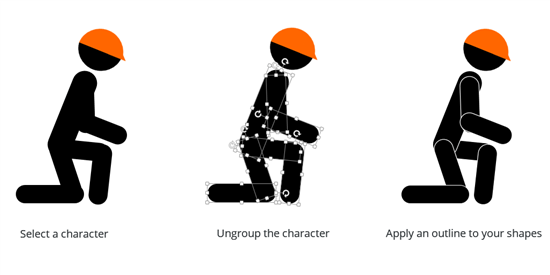 One of the more popular activities in our PowerPoint workshops is to build custom e-learning characters using basic shapes. 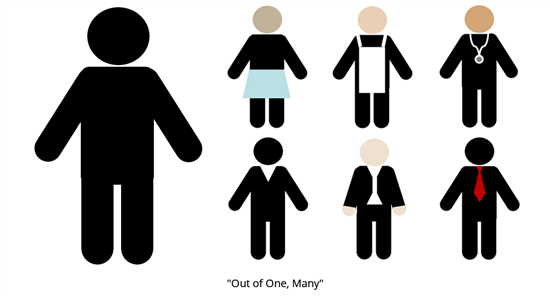 To get an idea of the types and styles of characters, take a look at Tom’s recent post on building e-learning characters. The pictogram characters are by far the most popular. 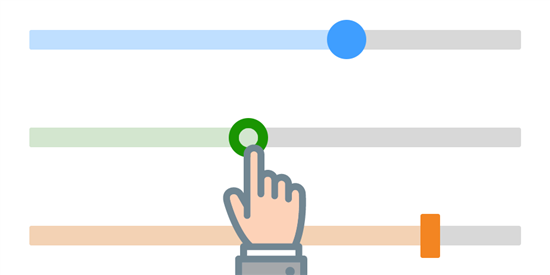 Mike Taylor shared this technique in a recent post on creating simple e-learning graphics. That’s one of those posts every course designer should bookmark. Why is this approach so popular? It’s simple and doesn’t require graphic design skills. And once you see how the basic shapes come together, you’ll never look at pictograms the same. If you’ve ever played with Legos, you know how basic shapes are combined to create anything imaginable. Building pictograms is a lot working with bricks in digital format. Easy, right? The biggest challenge for most users is knowing which shapes to use. That’s where it helps to see like an artist. You’ve probably heard that artists see differently. This means they see past the final object and see the lines and shapes that make up the final object. This is a skill anyone can learn. 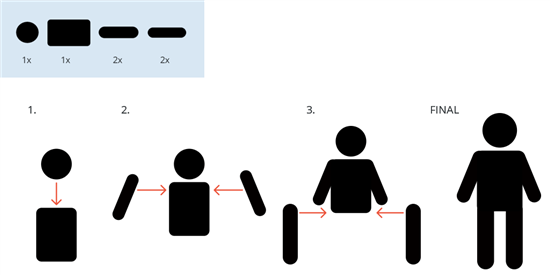 One way you can learn to see pictograms differently, is to pull apart finished objects. You do that by using PowerPoint’s Ungroup feature. Let’s look at another one of the free pictograms Mike shared. Select one of the characters and ungroup it like you would regular clip art. Once it’s ungrouped, apply an outline using a contrasting color. The outlines reveal the shapes and presents a clear view of how the shapes work together. The outline is also a way to add perspective to your characters. Character outfits and uniforms are essential to customizing the characters. You don’t need an extensive wardrobe for your characters. You just need one or two signature pieces that identify your character’s occupation and industry. You can use the free pictogram characters as your starting point, or you can build everything on your own. The emphasis in this challenge is to customize the characters so they align with an industry. Here are some resources to help get you started with PowerPoint’s shapes. Wishing you a pic-tastic week, E-Learning Heroes! Even if you’re using a trial version of Studio ’13, Storyline, or Storyline 2, you can absolutely publish your challenge files. Just sign up for a fully functional, free trial, and have at it. And remember to post your questions and comments in the forums; we're here to help. @Paul: I really liked those! @Jeff: Thanks for sharing. If I'm not mistaken, one of those characters looks like you. :) Also, thanks for the link to the pose pack! Great resource for future projects. @Kristin: Nice job. I've never met an expert in warrior princesses and wizards. I'll add you to my subject matter expert file! :) By the way, welcome to your first challenge. Oops, school work + others have made it difficult to participate in the past challenges. I hope I can find time for this... Unfortunately, I'm in a conference till Wednesday! I'm sure I can make up for all the challenges I missed in just a few weeks... @Jeff, thanks for the pose ideas... might come in handy someday. @Kristin Love the attention to detail. So cool! @Jeff Thanks for sharing. Love the colors and versatility in the poses. Kristin and Bonita, welcome to the challenges! I really enjoyed your entry. @Kristin what would your Hercules look like? I'm totally getting the Xena vibe. Kristin and Bonita, welcome!! nice and creative examples! Jeff, thanks for sharing your file and the link. David, can we use cliparts to create our characters? @Dianne Nicely done! Very clean lines and lovely color palette. @cecilia, go crazy. Clip art allowed! Thanks everyone! @Diane How funny that we both had wedding themes. I forgot to give my bride a bouquet :-) Congrats on the upcoming wedding. @Richard Great creativity. The guy on the exercise bike is my favorite. I created some sports characters because that's applicable to work that I do. http://www.fantasygenius.com/Pictogram_Challenge.pptx The concept of creating things with shapes seems so basic, but has proven to be a bit challenging to me (the point of a Challenge I guess!). Trying to figure out the right shape to use is causing me to think about shapes in a new way. @Amy really nice outfits on those pictograms. @Jackie Super cute! Now can they sing Shapoopie?